A new favourite vintage haunt in Spitalfields, East London. 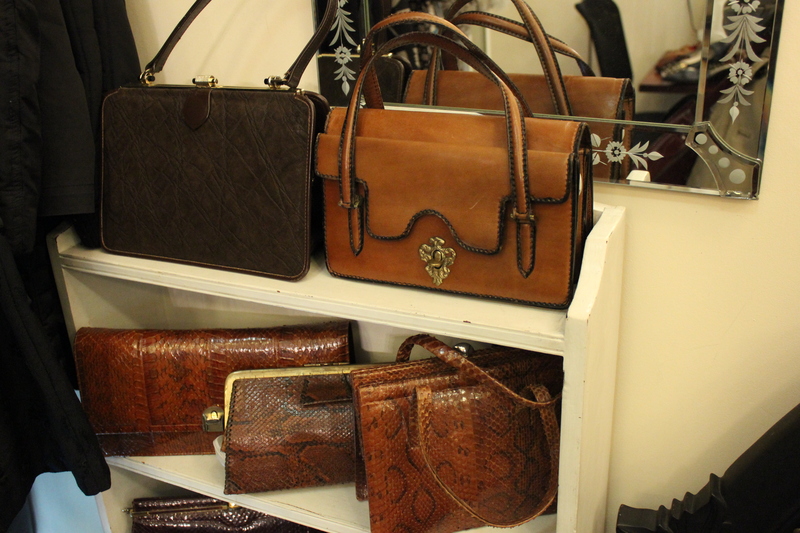 During our trip to the capital earlier this month, a spot of vintage shopping was definitely high on the agenda. We headed East, where the combination of beautiful retro boutiques, independent shops and galleries and cute coffee shops in and around Spitalfields and Brick Lane is hard to beat. I came away filled with creative inspiration (and cake) and a pretty purchase or two. I’m planning a post filled with all my London favourites but I’ve been itching to share a new discovery with you, which I think merits a post all of its own: Blondie Vintage. 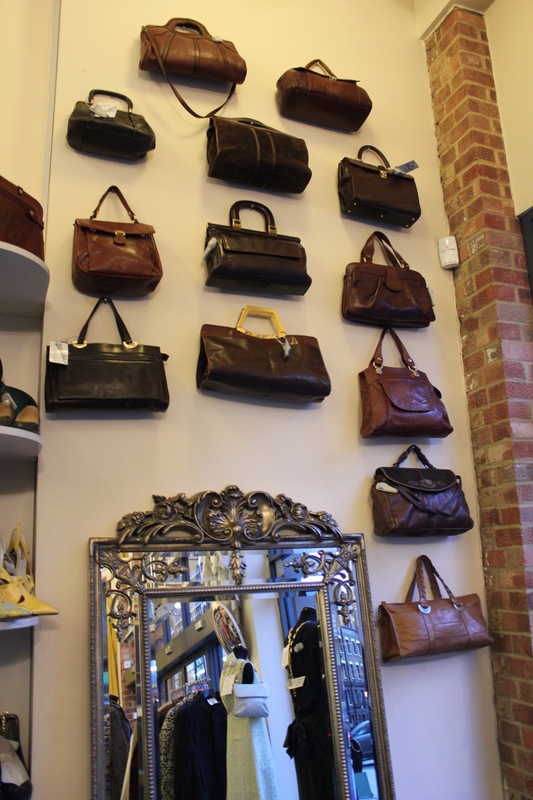 I had frequented Blondie’s gorgeous sister boutique, Absolute Vintage, during my year working in the capital but somehow Blondie managed to slip under my radar – I only stumbled across the retro boutique online long after leaving London. It was on my absolute must-visit list during our stay though, and it was certainly worth the wait. 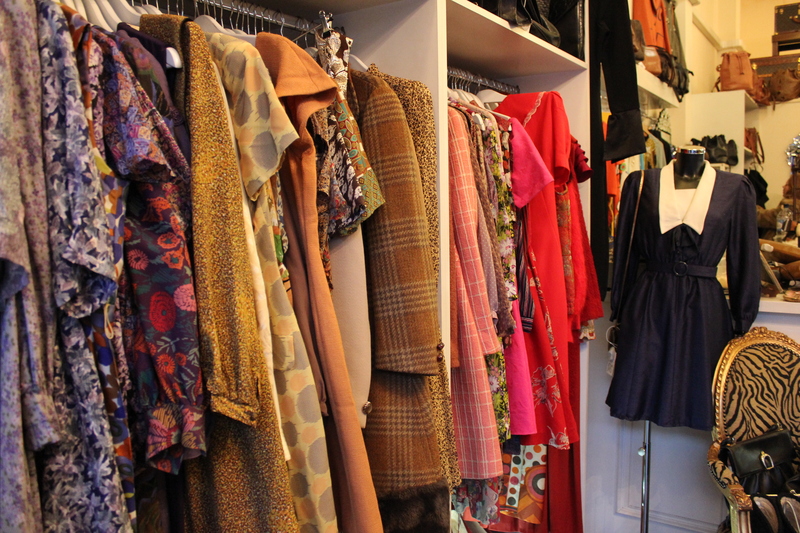 I do love vintage shopping but it can be a frustrating hobby. I don’t know about you but I really have to be in the right frame of mind for a good ol’ rummage, otherwise it’s easy to get bored sifting through old pairs of denim cut-offs and plaid shirts, no matter what gems may be hidden within. 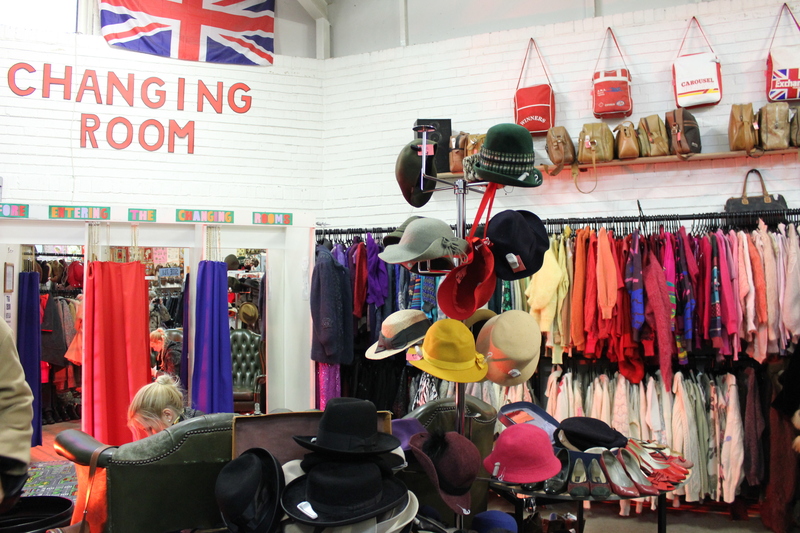 Blondie makes vintage shopping a joy as it does all the hard work editing for you; everything has been carefully selected and presented, making browsing fun not a faff. Not only are the clothes beautiful to look at and great quality, they’re actually wearable. How often do you come away from a thrifting trip, once the glow of a bargain find has worn off, and think when/ where/ how am I going to wear this? 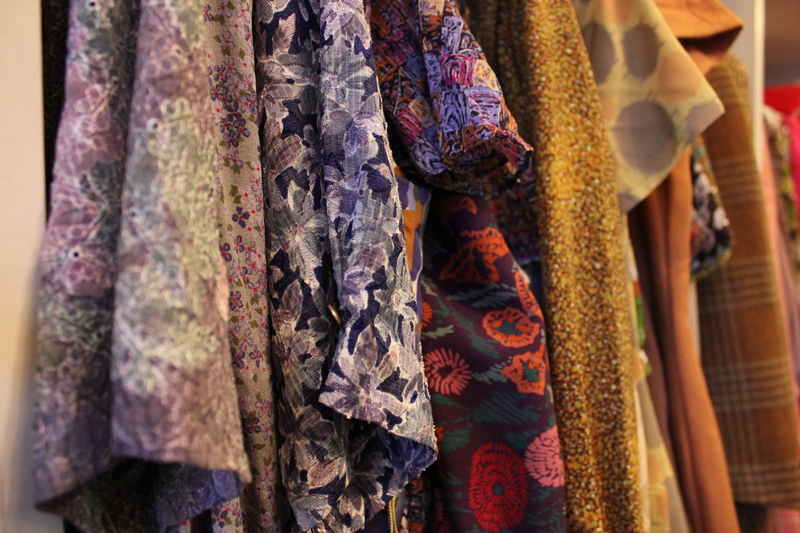 I spotted plenty of gorgeous floral tea dresses, ditsy print smocks and pleated shirt dresses in Blondie, all of which I would happily furnish an entire wardrobe with if I had the funds. Due to the quality, the price point is slightly more than say your average vintage fair, but I’ve certainly seen boutiques charging more than twice the price for similar pieces, especially in London. Some can be a bit intimidating too, but I found Blondie much more welcoming and relaxed. 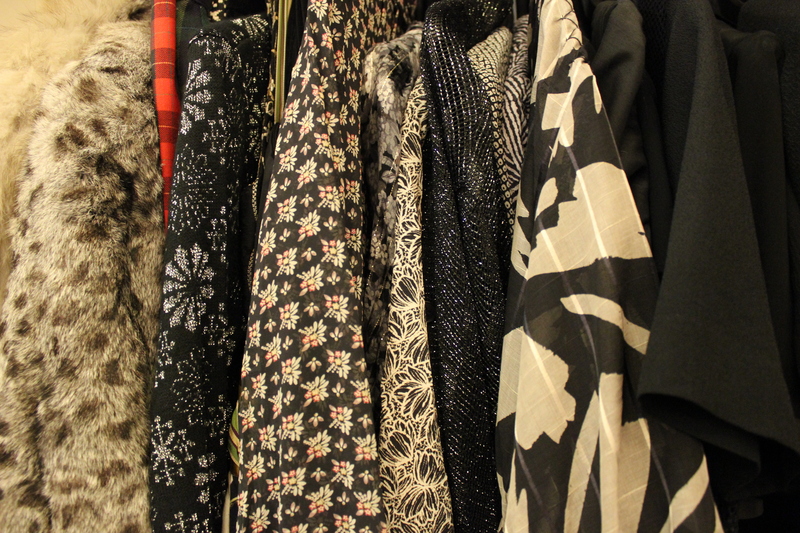 I could have happily spent hours sifting the rails and prepping my dream wardrobe. 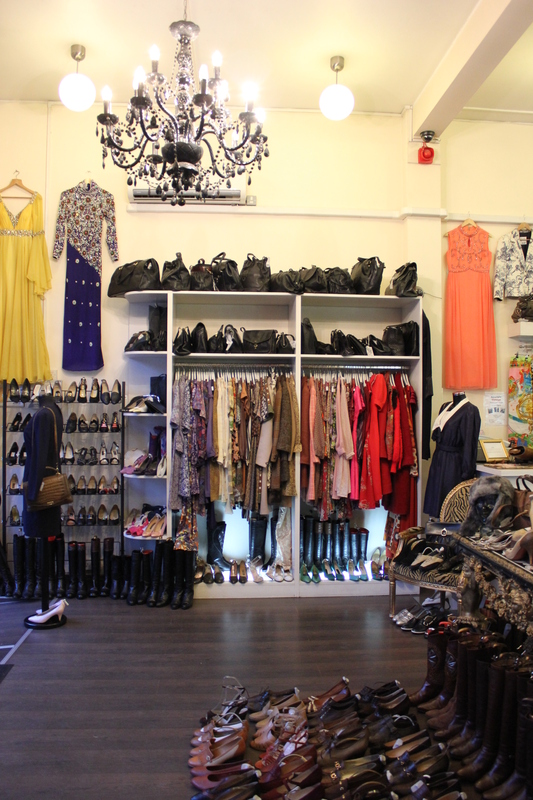 Blondie makes it even easier for vintage shoppers as all the pieces are arranged by colour and style – even the shoes! If there’s something in particular you’ve got in mind, Blondie makes it simple to find what you’re looking for. 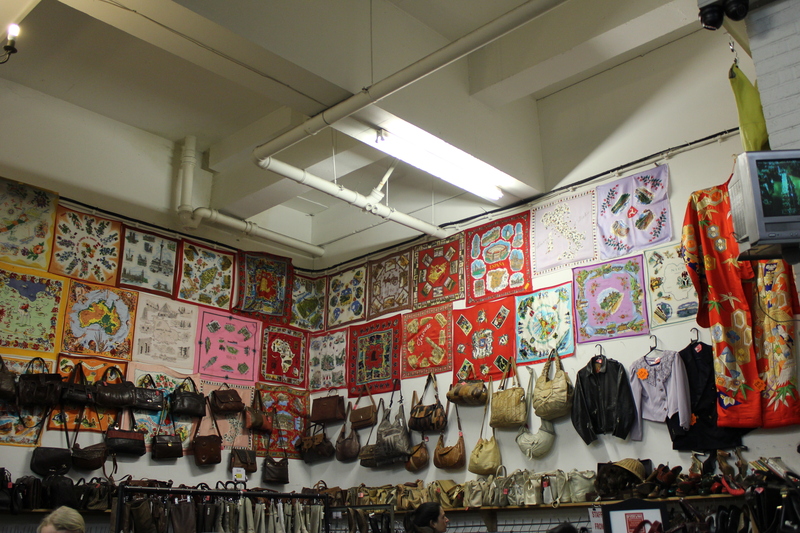 I loved the visual merchandising too, with sequined showpieces on display, stacks of vintage suitcases and a wall feature made from beautiful retro bags. 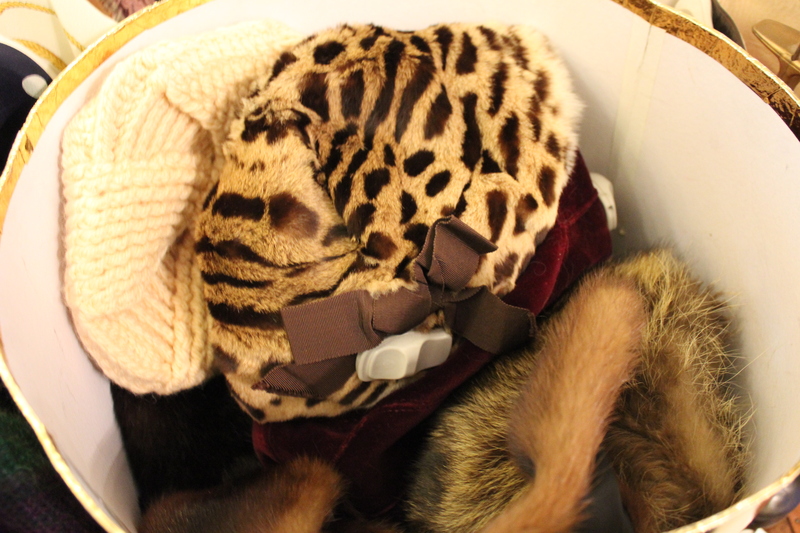 For me, the accessories were a real highlight – with everything from ladylike vintage bags to silk scarves in every pattern and hue. 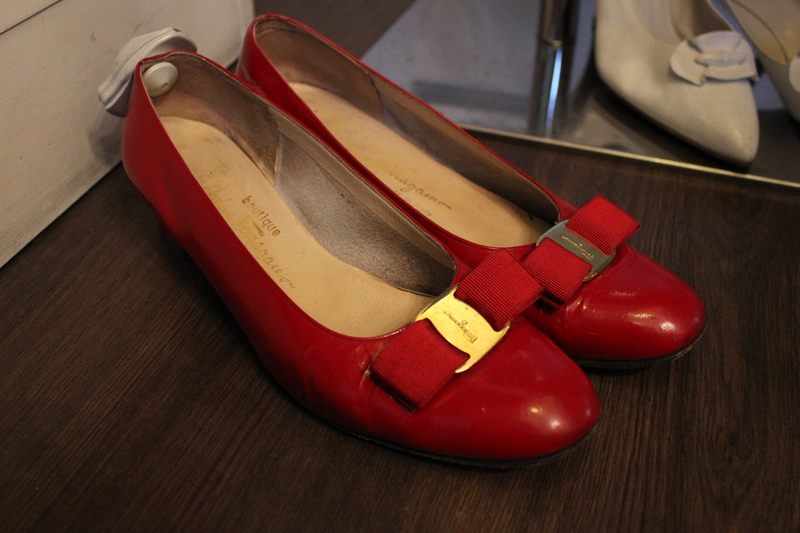 I spotted a pair of perfect ruby red Ferragamo shoes – very reasonably priced too – but sadly they weren’t in my size. I can only hope they went to a good home. 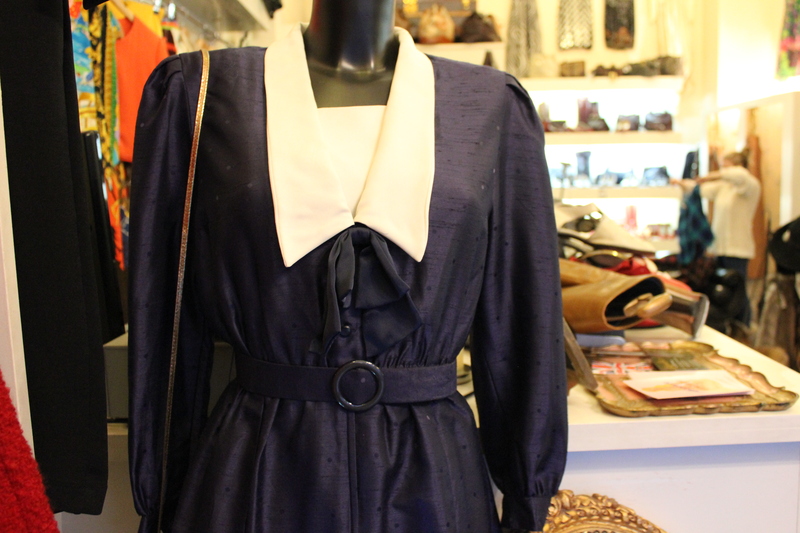 I did try on numerous vintage outfits though, and eventually whittled it down to two. 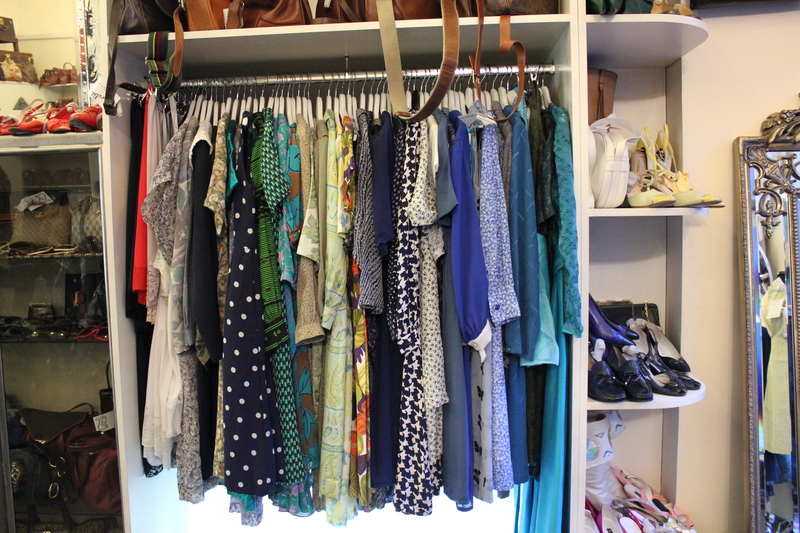 I’ve worn both constantly since making my purchase – look out for a new outfit post soon! 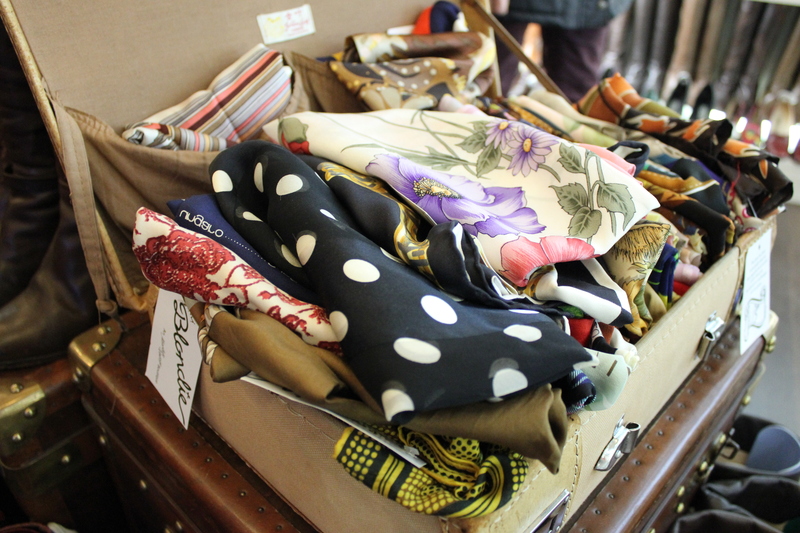 Absolute Vintage is just around the corner, so be sure to have a browse there too if you’re making a trip to Blondie. 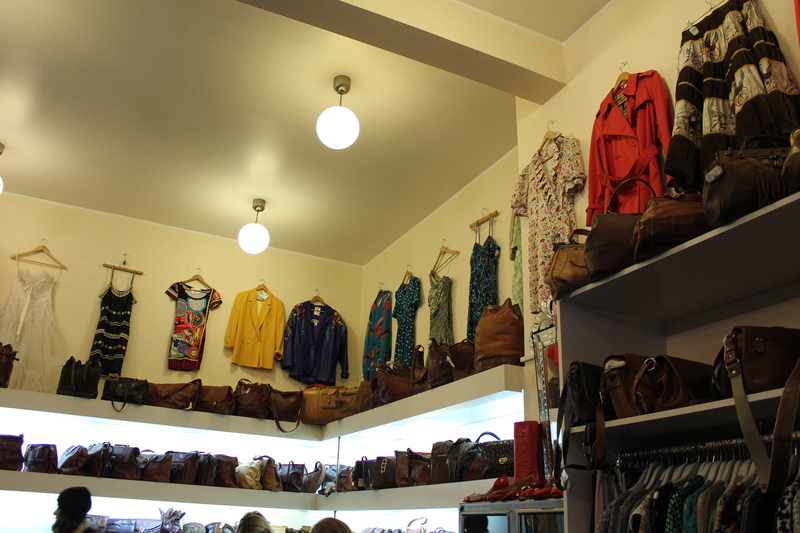 As a much bigger shop it has quite a different feel, filled to the rafters with clothes of all styles and decades. I’ve come away with numerous bargains before, such as the pleated floral frock from this (vintage!) post. 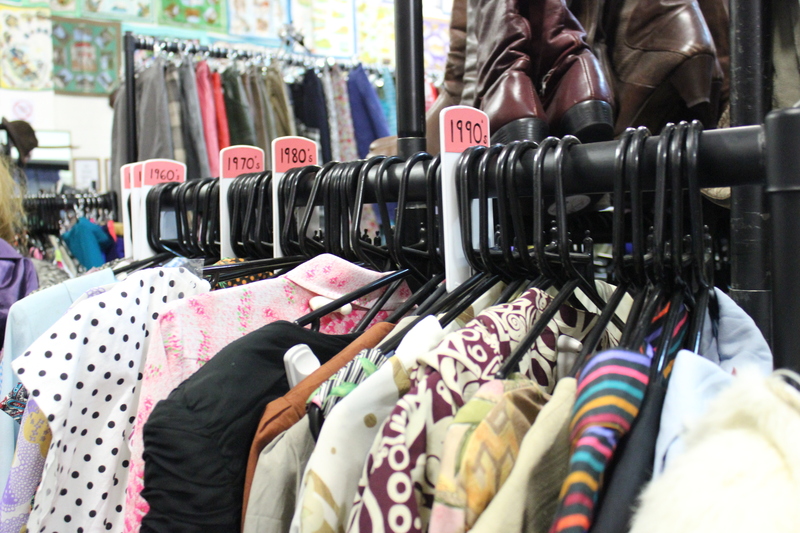 While there’s a lot of stock, again, everything is colour-coded so it’s easy to find what you’re looking for. 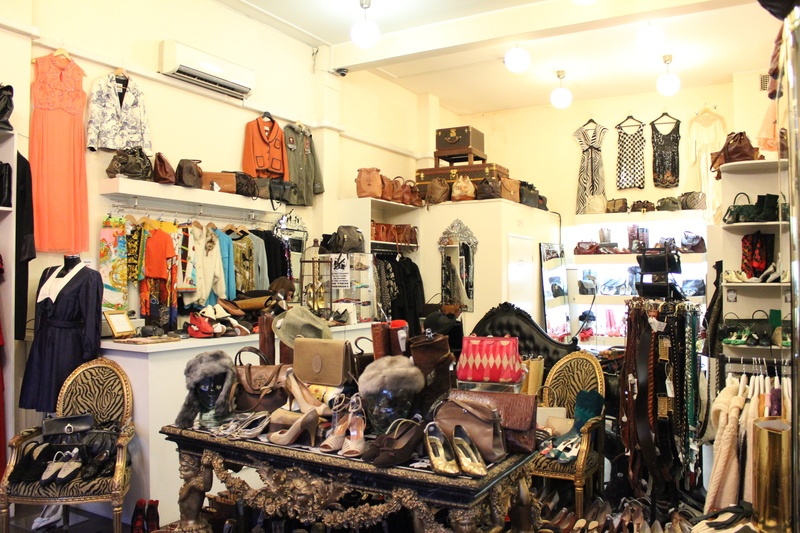 Both boutiques make vintage shopping a real treat, and I can’t wait to plan my next trip. 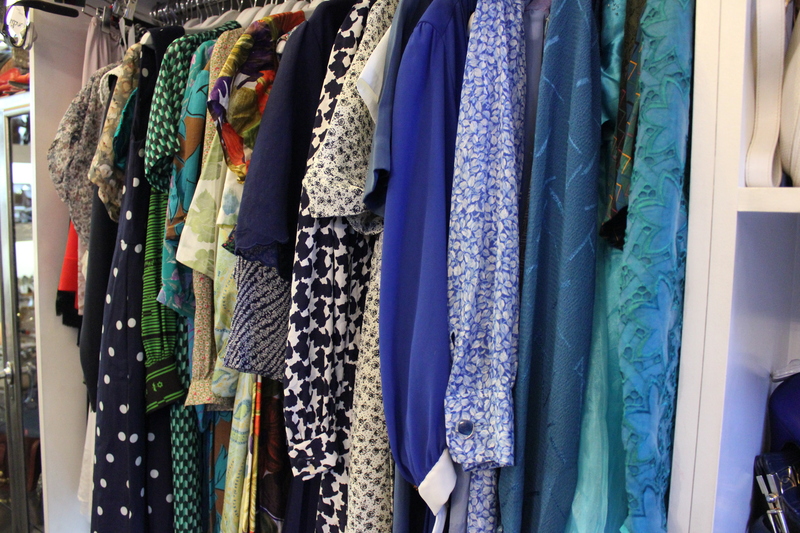 Have you got a favourite vintage shop in London or further afield? 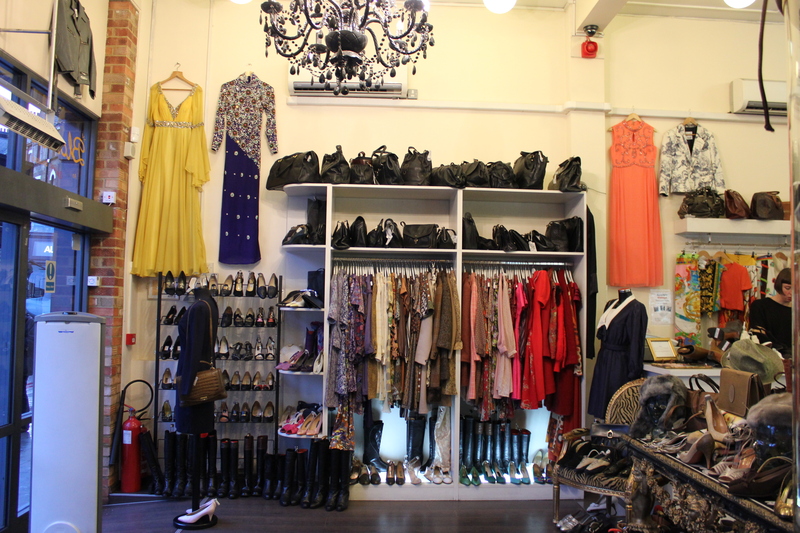 Blondie Vintage, Unit 2, 114-118 Commercial St, London, E1 6NF. Thanks to the team for letting me take these shots and for my lovely tote bag!